Start - Randles Nissan Garage, Muckross Road, Killarney at 6am on Friday, September 6th and finish before 10pm on Saturday September 7th 2019 at Randles Nissan Garage, Muckross Road, Killarney. Start 6am Friday September 6th - halfway cut-off time (Waterville), 4am Saturday September 7th. Final cut-off (Kenmare) at 4pm, finish 10pm Saturday September 7th. Registration for Kerry Way Ultra 2019 will only be possible for competitors who hold the necessary qualifications - completion of 2 marathons or 1 x 50mile ultra or 1 x 100k ultra in the calendar year of 09/09/2018 to 05/09/2019. Please note: No refunds can be given or deferrals accepted. Portwest, 94 New Street, Killarney from 6pm to 7pm on Thursday, Sept 5th with a Questions & Answers session at 7pm. There will be an Ultra Brunch on Sunday, Sept 8th at The Dromhall Hotel, Muckross Road from 11am until 1pm. We will go through the entire route with all competitors and support crews at 7pm. There will be a Bag Drop at Lord Brandon's Cottage, Black Valley which will be the responsibility of The Kerry Way Ultra committee. No Support Crew vehicles allowed off The Ring of Kerry road, excepting Climbers Inn, Glencar. Safety equipment mandatory with gear check at registration and spot checks along the route. Roving marshals on motorbikes and mountain bikes. Personal assistance along the route is forbidden other than at designated areas. Kerry Way Ultra will provide transportation for Drop Bags to Lord Brandon's Cottage for all competitors (due to very limited motor access). It will also provide transportation for Drop Bags to the locations specified on the Support Crew Map for crewless competitors. Those with Crews are asked not to use this facility. The Drop Bags will be returned to the Dromhall Hotel, Killarney as soon as possible and it will be the responsibility of each competitor to claim their own bag or allocate someone else to do it for them. They have to be picked up on Sunday before 1pm. Do not leave valuables in the Drop Bags. Kerry Way Ultra is not responsible for lost or damaged drop bags and their contents. *Your Drop Bags are essential - help us help you by following the instructions above. The Kerry Way Ultra is very lucky to have some incredible volunteers at the Support Crew Stops and Checkpoints, marshalling the event, helping at Registration, maintaining the Kerry Way route, and generally supporting all the competitors with enthusiasm, humour and encouragement (and even getting errant runners back on the right track!). The marshals will have emergency water only - The Kerry Way Ultra is a self-sufficient event. There will be no medications at any Crew Stop or Checkpoint. If you feel that you may need anything, it will be your responsibility to bring and use it. Doctors in the towns and villages along the route will be aware of the event and there will be Wilderness First Aid Responders on call. Without the help and enthusiasm of all the above, there would be no Kerry Way Ultra! They have given up their weekend to insure you the best possible chance of success and we ask that you give them the courtesy, respect and sincere thanks they so richly deserve. Thank you. 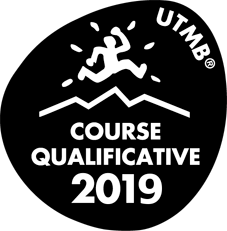 But even more, the KWU is the most difficult, technical and 'mentally challenging' run that an ultra runner will ever do (and probably the longest!) - in the most scenic, beautiful, unspoilt and often the loneliest parts of beautiful Kerry, an endurance test like none other; where you just get used to being yourself again whilst you face the challenges on the route - running against the elements, through bog, mountains, trail, road and picturesque villages. The warmth and friendliness of all you encounter offsets the effects of the severe weather and settling heavy rain throughout the darkest hours of the night. But if I could take just 1 memory (and it is not the finish!) - it is the walk out of Caherdaniel in the pitch black darkness and complete silence with my solitary head torch, venturing into the black 'abyss' of the Kerry night, the heavy rain obstructing any chance of a clear view in front of me, and the sheer satisfaction and contentment of taking part in an event like no other, isolated from everyone and alone walking though the mountains of this beautiful country. A feeling of such serenity and peace, in the face of a 200km adversity is one that I will remember forever... so I thank you again for providing the event, for running it so well and for your enthusiasm for us all."